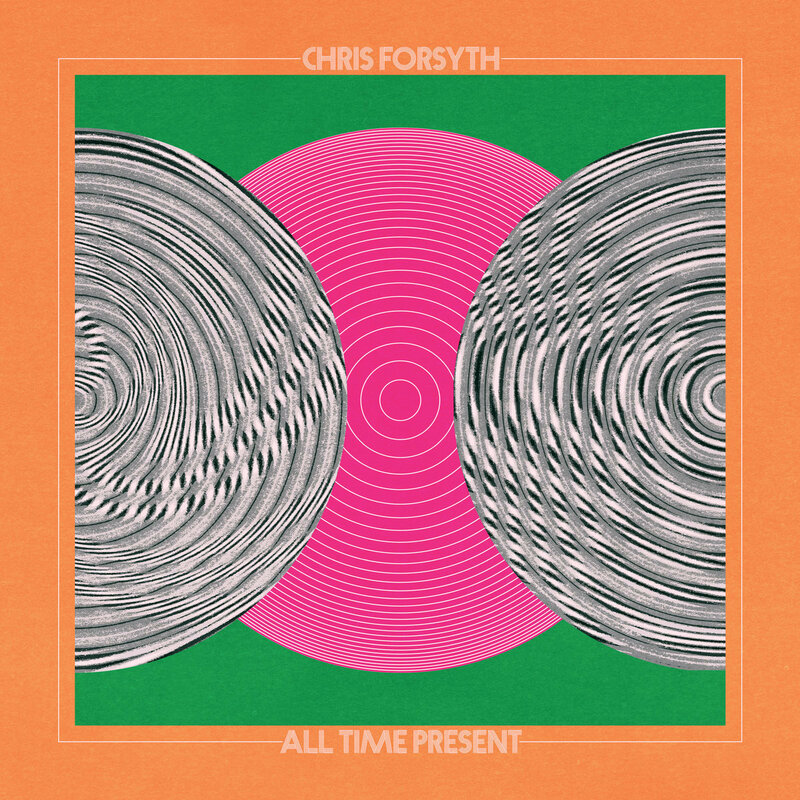 Chris Forsyth's All Time Present is out April 12 on No Quarter Records. 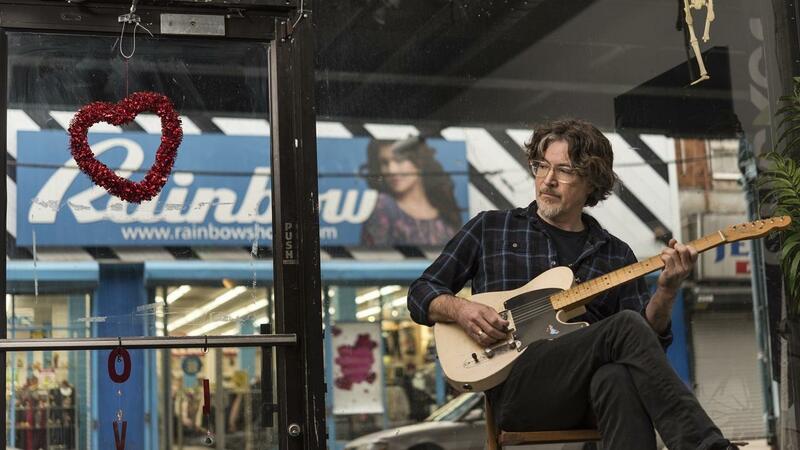 Forsyth landed in Philadelphia over a decade ago after an extended stay in the outsider and improvised music scene of Manhattan's Lower East Side. In his new home, Forsyth's wild, wandering compositions echoed off the cinderblock walls of the warehouses turned art spaces dotting his post-industrial Kensington neighborhood, and his meditative and minimal playing on Dreams and Kenzo Deluxe provided a solitary electric guitar compliment to the freewheeling acoustic folk instrumentals of scene peer Jack Rose. And then Forsyth started a band. His 2013 suite Solar Motel was the first piece he wrote with a group of players in mind: celestial arrangements, given a hefty rock and roll lift. The set echoed Television (whose Richard Lloyd was a mentor to Forsyth in his NYC days) and The Grateful Dead, and it acknowledged the creative inspiration that Forsyth found beyond the underground. Three subsequent albums were released with a revolving cast of his Solar Motel Band – including 2016's The Rarity of Existence, which found the stalwart instrumentalist trying his hand as a singer – and as the discography grew, so did song run times, pushing the limits of band endurance, album sides, and in some cases, attention spans. All Time Present finds Forsyth pulling back the reins while also reaching further than he has before, exploring new stylistic realms (windswept desert rock on "The Past Ain't Passed") and revisiting earlier compositions ("New Paranoid Cat") with fresh aplomb. It's his first release credited solely to his own name since 2013, but it's also very much a product of band chemistry. We hear that on the opening "Tomorrow Might As Well Be Today," which serves as the theme music of sorts for this double-LP opus. One can imagine opening credits rolling over a spacious highway while listening, and though Forsyth's octave-dancing main lick is the initial sound that hits our ears, the resounding piano accents from Shawn E. Hansen and driving drums by Ryan Jewell are every bit as essential to the song. If that's a specimen of the album's friendlier, rock-oriented side, you can hear just as much ensemble action as they wig out on side four's ambient expanse "(Livin' On) Cubist Time," built on free-floating, quasi-electronic ping-pong tones reminiscent of Manuel Göttsching's E2-E4 as Hansen plays fluttering, free-time sax underneath. The closing "Techno Top" sprints like an analog Kraftwerk before melding into a crescendo of overdriven guitar squalor and tom rolls, with Peter Kerlin's meditative bass holding the center. But as much as the album channels the spirit of the 20th century avant-garde — Michael Rother of Neu!, Young Marble Giants, Terry Riley, and Holger Czukay of Can, to name a few – Forsyth, for his part, is no elitist. The solemn, spaced-out lead on "Dream Song" puts us in a serious Pink Floyd headspace right out the gate, marching after a minute's time into an unbridled Crazy Horse riff rocker, with haunting vocals from Philly singer-songwriter Rosali Middleman guiding the way. All Time Present reaches far and wide, in any number of divergent directions, but its grip on the listener remains firm. Forsyth is adventurous, ambitious, yet acutely focused, and these songs are the culmination of lessons learned from over twenty years of experimentation. It's like the vision quest he sings of on the slamming Americana sprawl of "Mystic Mountain," and the realization at the end: "Now I know what I was given, and it's more than most have seen."